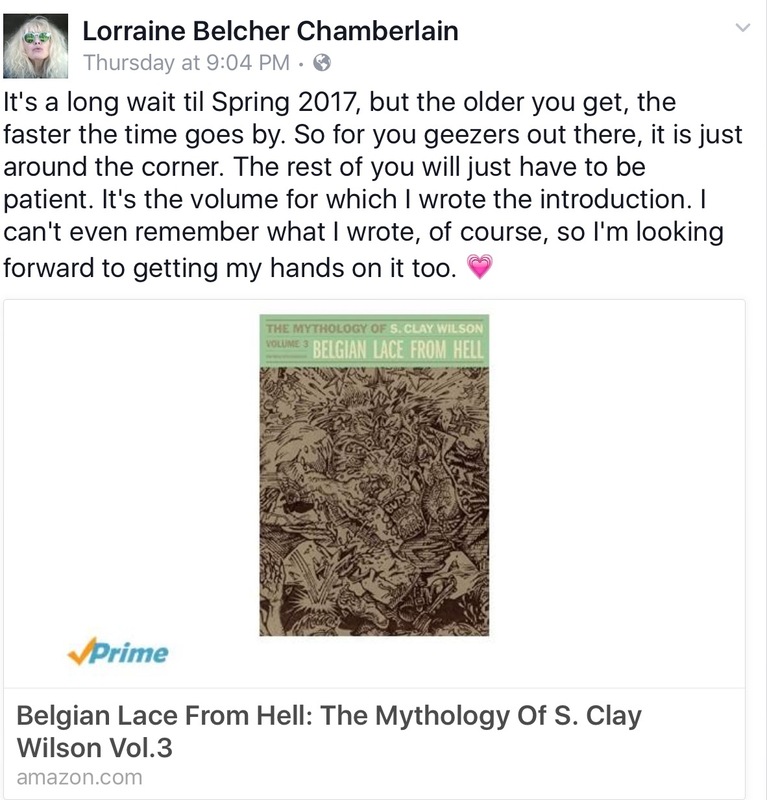 S. Clay Wilson Special Needs Trust » Blog Archive » Volume3 of Bio due in Spring 2017!! 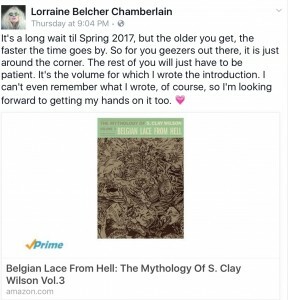 Volume3 of Bio due in Spring 2017!! This entry was posted on Wednesday, July 6th, 2016 at 7:27 pm	and is filed under Uncategorized. You can follow any responses to this entry through the RSS 2.0 feed. You can leave a response, or trackback from your own site. Can’t wait for volume three. These books are fantastic. Please tell Mr Wilson happy birthday from some guy in Florida that he doesn’t know. I just read your comment to Wilson. Thanks so much! It made us both laugh. Stay smooth, as Wilson used to say….